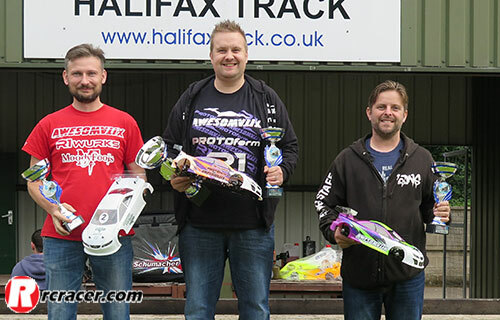 Round four of the 2017 BRCA 1:10 Electric Touring Car series saw drivers head to one of the fastest tracks on the calendar and Halifax in Yorkshire. Olly Jefferies arrived at this round having already won the modified championship. Tyre issues which showed in testing prior to the event meant the controlled Sorex 32R tyre had to be swapped for the 36R models and it was an issue which over shadowed the modified class to a degree. In the 13.5T boosted class reigning champion Zak Finlay arrived leading the field and only needed one A final win to secure the 2017 stock title. 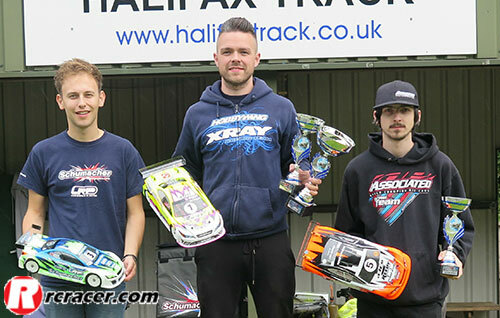 In modified Olly Jefferies continued his unbeaten run in 2017 by taking TQ and both legs of the A final ahead of Elliott Harper and Zak Smith. The 13.5T blinky class saw a convincing win for Jimmy Maddison ahead of Shaun Batt and Richard King. 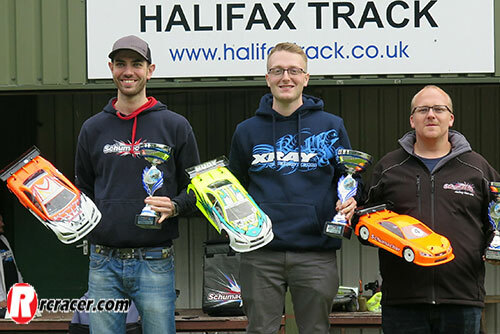 The final round of the series takes place at the Cotswold track next month, with the modified and boosted stock titles now confirmed it’s just the blinky class to be decided.